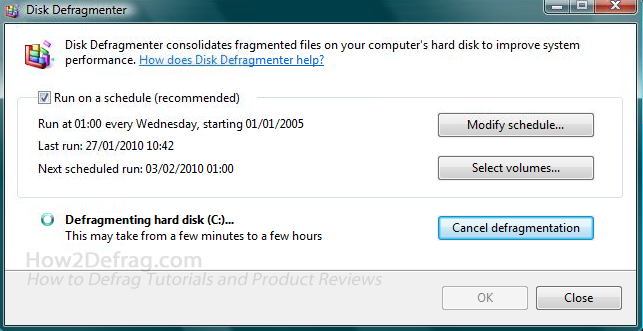 Disk De-fragmenting on Windows Vista is very different compared to previous Windows operating systems as they have decided to make the program layout different in an attempt to make it more easier to use. Our tutorial will show you How to Defrag on Windows Vista. This tutorial will explain how to defragment your hard disk on Windows Vista using the Windows Disk Defragment tool built into Vista. While it’s recommended to defrag your computer on a regular basis there are other alternative programs than the in-built one into Vista – We’ve listed the best commercial programs for defragmentation on our website. 1. Make sure your computer is on and your desktop and startbar have both loaded up on the screen. On the start-bar click the “Start” button (Depending on theme it might be the round “Windows” logo) from there select “All Programs” and then find the directory named “Accessories” and once you’re in the Accessories directory select the sub-directory named “System Tools” and then in this directory the “Disk Defragmenter” tool should be listed, double click it. 2. If you followed the instructions below the Windows Vista Disk Defragmenter tool should now be open on your screen like the image below. 3. 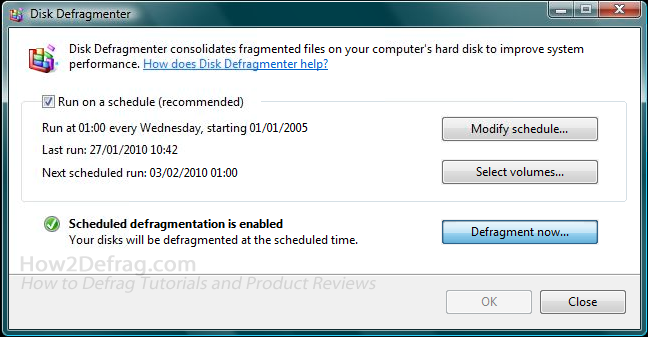 To begin to defragment your hard drive(s) select the “Defragment now” button as seen in the print screen above. Once you click the “Defragment now” it should prompt you asking what drives you want to defragment – Select the desired drive(s) but we recommend defragmenting them all. 4. 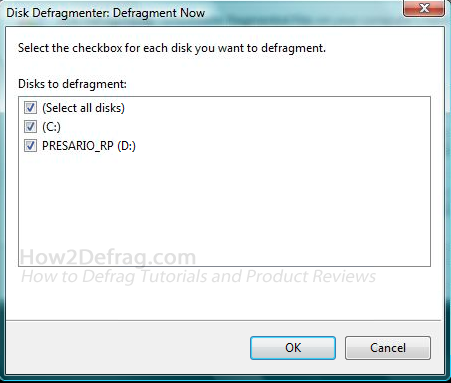 Click “OK” to start the Disk Defragmentation, once you have the defrag process should now have started. On Windows Vista there is no progress bar showing you how far its got, so it could take hours or minutes. 5. Once the defragmentation has been completed it should tell you. 6. Congragulations you have succesfully defragmentated your hard drive! This will help protect against problems and it will ensure your computer speed remains fast. How to Defrag on Vista is using the inbuilt tools If you are intrested in better programs to defrag your computer we recommend you visit our Top Defragmentation Programs page were we have listed the best alternative programs that will ensure system stabailty and performance. Link your friends to our tutorial on How to Defrag on Vista to help speed up there system and improve performance. If you have any suggestions for this tutorial please e-mail us.